ALPHA offers exceptional performance. When in independent sorter mode, it processes 600 boxes/hour! Patented system, the secret of its speed is the separation of all the processes necessary to identify a product as well as the management of non-blocking errors (e.g. a 2D code printing defect). Increase the ALPHA processing capacity. Whatever the volume, all deliveries can be entered in a single operation with an unlimited supply belt. 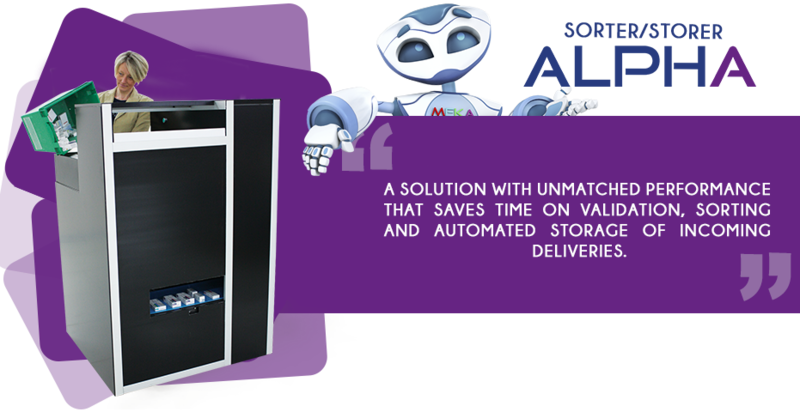 100% automated storage and maximum productivity = the ultimate in automation!